We are able to offer you an expertise in which you will feel confident in the finished product of our work and have been producing exceptional results for varies customers throughout the Lower Mainland and Vancouver. Our professionalism and reputation have been the foundation on which this company was built. We want to build long lasting relationships with customers through high quality service and expert advice. Our team is extremely happy every time we get the chance to show our customers the great work we are capable of. We have experience with golf greens and artificial turf, as well as a vast understanding of landscape maintenance and design. Let our team of hard working and enthusiastic individuals show you the exceptional work we do. Tanner has several years of strategic leadership experience consistently driving businesses. He started working at a young age in the sales Industry for his Grandfather. His entire life he has been driven and passionate in everything he would set his mind to do. Tanner has expanded his company and growing his business to being one of the best synthetic turf companies in the industry. His practical knowledge includes sales, business development, management, customer experience and team building. Tanner directs the operational aspects of his company, and oversees the company as a whole. He is a person who is honest, with integrity and his customers know this. He is positive about every aspect of life. There are many things Tanner does when he not running Tanners Turf. Being home with his family, and spending time on the golf course. Tanner is not just selling a product, he is selling the best service! Giselle has 8 years experience in an office and administration service area. Of which, six of those were spent working for the Provincial Health Services Authority. Excelling in trouble shooting, problem solving, and being an uplifting member of her office community. She values hard work and goes beyond any requirements to help individuals get what they need. Outside of work she is a mother, passionate reader, writer, and health fanatic. Dayna has a background human resources, employment, administration and marketing. 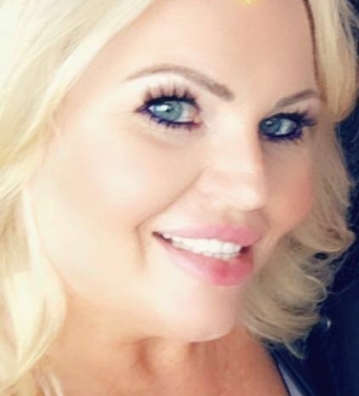 She is passionate about assisting people, and highly motivated, offering her services to successfully deliver office management and marketing services for Tanners Turf and assisting employees and customers at all levels. She has a natural ability to support personal development, with an excellent approach of professionalism. "I always say in life.... when you lose, don't lose the lesson. Never give up, chase those dreams and make it happen!" Dayna is a competent employee, and her authenticity and desire to serve people and empowering others for many years to come. She is a personable leader who is able to manage multiple projects and produce desired results. When Dayna is not working, she spends time bike riding, and enjoying special time with her family and 4 grandchildren!